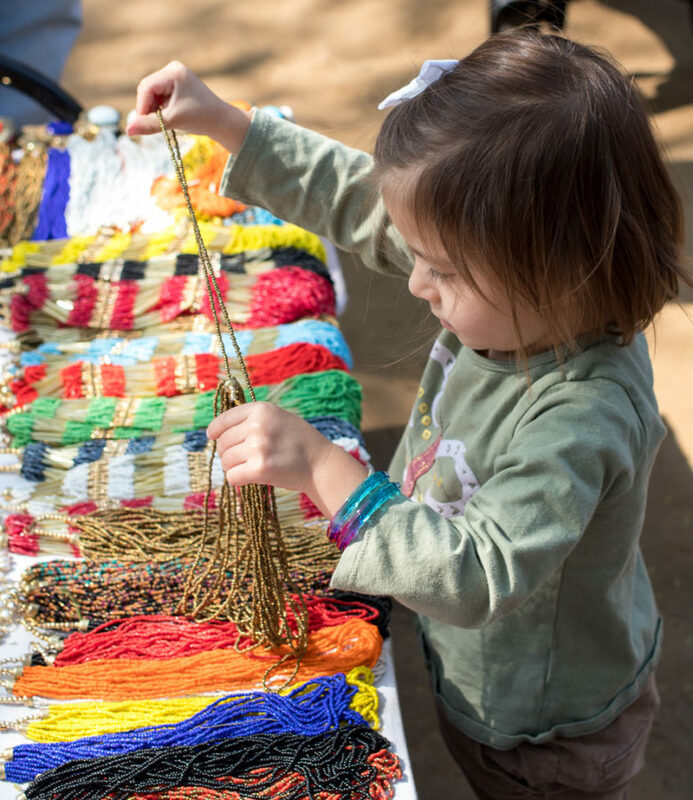 Surajkund Mela: The worlds largest craft fair! 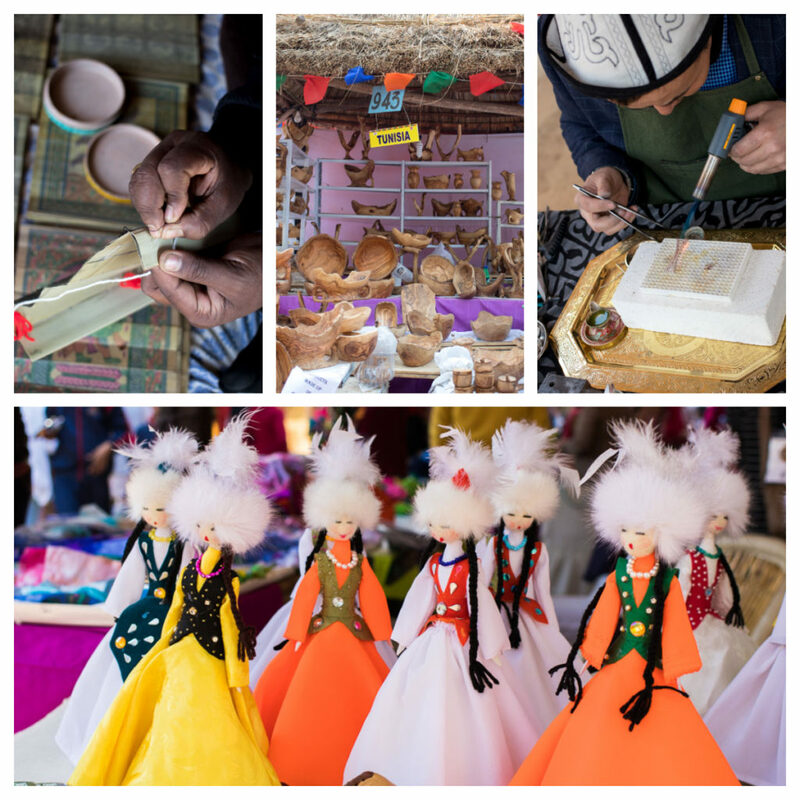 Surajkund Mela: The biggest craft fair in the world!! Do you love Craft Fairs? 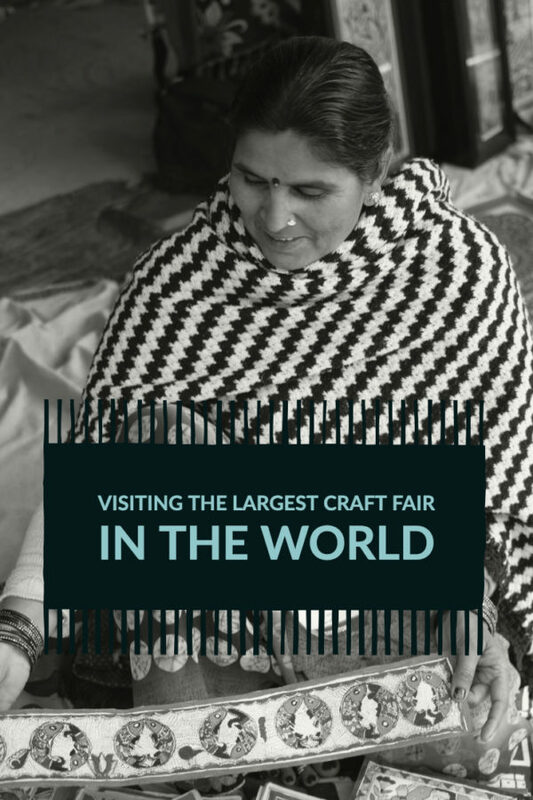 Every year, India hosts the world’s largest Craft Fair or “Mela” just outside of New Delhi! With more than a million visitors and nearly 30 countries represented, it is truly a global affair. I would describe the Surajkund Craft Mela as more of a cultural, craft and amusement fair because in addition to beautiful handicrafts from around the world, there are also musical and dance performances, amusement park-style rides, hot air balloon rides, and even helicopter tours. The event usually opens around 10 am. By noon it was crowded and by 1:30 it was unbearably crowded. Should you carry a large stack of cash? As of 2018, the entire event went digital. A local bank provided every vendor with a credit card machine. I noticed a few vendors were a little unsure how to use the machine so I just touched the correct responses on the screen on their behalf. After doing that twice, I used the cash that I had brought along since it was simple and faster. My advice would be to bring a small to moderate stack of cash and use your credit card if you have a big purchase. Since you are at a craft fair, many artists are more than happy to pose for a photo with their work, just be sure to ask permission first. If you are clearly non-local, be ready to attract extra attention at Surajkund Mela. People (a lot of people) will ask if you will take a photo with them. You can say no if that makes you uncomfortable. My day was completely made when a fellow mum asked me to take a photo with her baby. Contrary to popular belief this is not an everyday occurrence for foreigners living in Delhi. I am used to a few people asking me a week. At the Surajkund Mela, I had more than two dozen requests in a matter of hours. Since this event draws people from all over the country who maybe don’t live a big city, foreigners become more of a novelty. 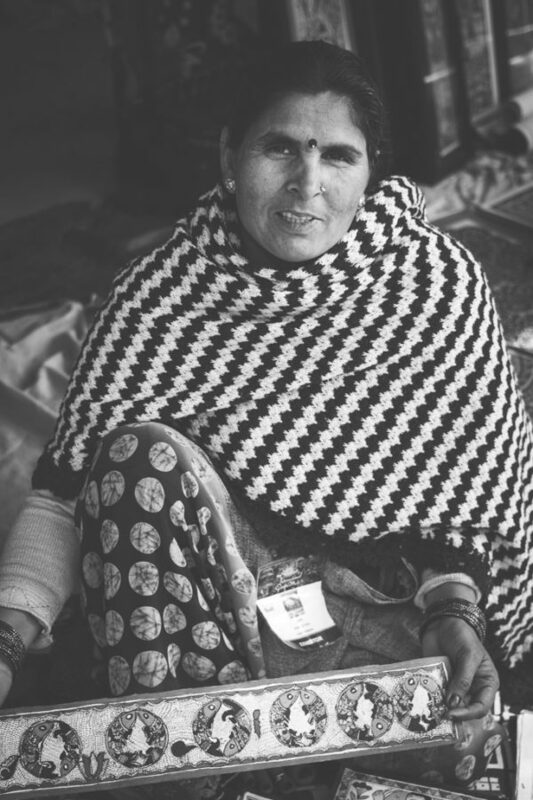 Haggling is usually the norm here in India but I noticed things were different at the Surajkund Mela. Prices are set to appeal to locals so are already more than fair. I found the prices to be lower than I normally find in local markets. I’m not saying don’t haggle at all (although I don’t always – depending on price) but a simple “ I don’t know, that’s too much for me to spend” or “is that the best price?” will get you a better deal. 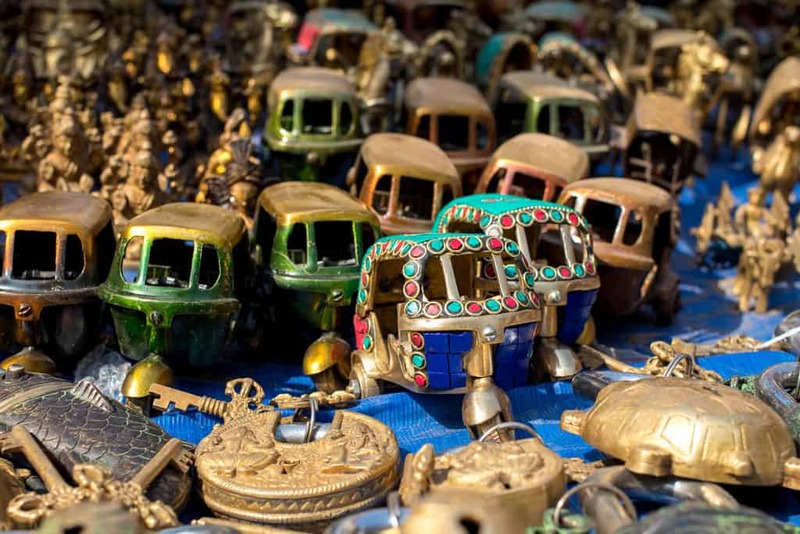 Click HERE to get all my tips on how to haggle in India. I get so annoyed when I see folks aggressively haggling and shouting over 100 rupees ($1.50). This is their livelihood, I know you can afford it, don’t be rude. Should you bring your kids to Sujrakund Mela? Yes! They will love the sites and entertainment. The grounds muddy, but nothing an all-terrain stroller can’t handle. I really do suggest bringing a stroller because there’s a lot of walking. 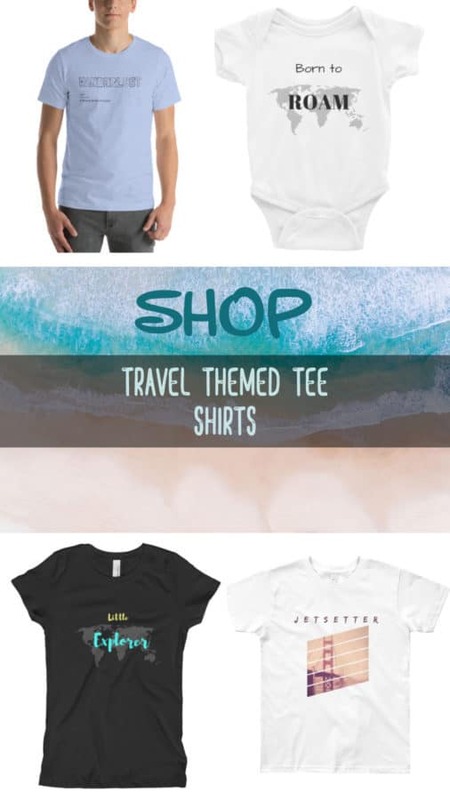 You will also appreciate the space to store your purchases. Each of these 5 strand beaded necklaces were priced at 100 Rupees each. No haggling required. The website stated you couldn’t bring any large bags or outside food or drinks. Feel free to ignore that and bring your diaper bag, snacks, and water for your kiddos. The food options inside were all street food style. The Good: Very affordable entry fees. On-site parking. Performances from people all over the world. Robust security presence by both local PD and military – more than 1500 officers last year. My daughter decided to try to shake me, she got all of a foot away before a nice police officer turned her around. All the vendors were issued credit card machines, mobile ATM’s mean you don’t have to carry around a huge wad of cash. No shortage of things to do, really something for everyone. I LOVED it…. And so did my kids. The Bad: Paths can get muddy, I would avoid visiting right after a rainfall. Not wheelchair friendly. Next year I hope they get over the casual sexism and make an equal amount of security screenings for men and women. There were 3 lines for men and only one for women, many of whom had also had children with them. The men waltzed right through while the women were corralled through a long zig-zagged line like cattle. I voiced my concern to one of the officers who literally couldn’t have cared less. I quickly recovered from that annoyance though when I was surrounded by very talented artists showcasing their work. Wanna see my haul? (Press play below!!) I still can’t get over those shoes I got for baby girl. She can’t either, wears them all over the house. The Surajkund Mela is held in February each year, which coincidently is one of the best months to visit northern India. This year (2019) it will be held February 1st-15th. This is a perfect family outing during your vacation. You’ll have the chance to teach your kids about different cultures, religions, music, dance and of course: art. I really hope you all get the chance to visit the worlds biggest craft fair. I know I’ll be back next year! *All photos ©2018 All Rights Reserved.